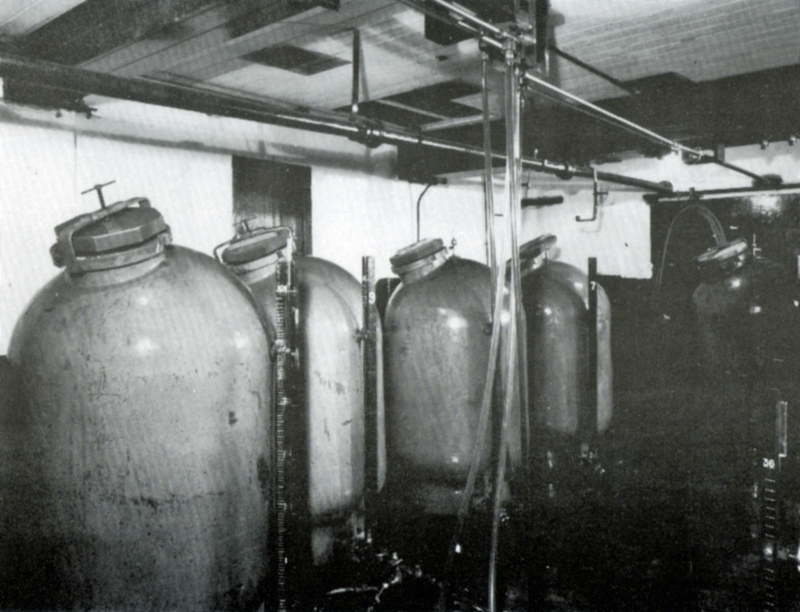 A short account of the surprisingly long history of putting beer in cellar tanks. Tank beer – “tankova” – may be a hot new trend in London, with Meantime in Greenwich and Pilsner Urquell delivering fresh unpasteurised beer to pubs in beautiful shiny big containers, but the idea of putting beer in cellar tanks to deliver better quality is, even in London, more than a century old. The first “tank” beer system in the capital appears to have been introduced by Hugh Abbot, a brewer at Watney’s original Stag brewery in Pimlico, London, just around the corner from Buckingham Palace. In 1913 he had three standing butts fixed up in the cellar of a Watney’s pub, and beer delivered in an old horse-drawn tank wagon of the sort that brewers used to transport beer to their bottling stores. The experiment was successful enough that by 1920 Watney’s had electric-powered tanker lorries, fitted with copper tanks, taking beer around to its pubs. It was still using electric vehicles in 1949, though by then tank deliveries to pubs were done using trailers mounted behind standard tractor units.